Robert A. Mandell is Chairman and Chief Executive Officer of Greater Properties, Inc., a commercial real estate venture in Central Florida. Previously, he served as Chairman and Chief Executive Officer of The Greater Construction Corp., from 1998 until 2005. Mr. Mandell serves on the Board of Directors of Florida Hospital, the Burnham Institute for Medical Research of La Jolla, California, and the Vermont Studio Center. He also serves on the Audit and Finance Committee of the Adventist Health System. Previously, Mr. Mandell was a member on the Orange County Chairman’s Transportation Commission and on the Orange County Public Schools’ Blue Ribbon Panel on Education. In 2010, he was appointed to the President’s Export Council. Mr. Mandell holds a B.S. and a J.D. from the University of Florida. OpenSecrets.org lists Mr. Mandell as one of the Obama inauguration donors who gave $50,000 for the presidential festivities. Donors at the $50,000 level reportedly get tickets to the official ceremony, the parade and inaugural balls. The government places no limits on these contributions, but Obama capped money for his inauguration at $50,000 per person – still, as OpenSecrets point out, more than 10 times what individuals could give to his campaign. More on this nominee from HuffPo here. So anyway — the last time we’ve blogged about U.S. Embassy Luxembourg was earlier this year when the Office of the Inspector General issued its review of the mission and came out with quite a scathing report. The OIG inspectors write in their report that several FSOs assigned to the mission curtailed from their “cushy” European assignments to volunteer for duty in the war zones of Iraq and Afghanistan. Shocking, just shocking! After the then political ambassador resigned to spend more time with her family, a TDY chargé d’affaires took over running the mission. In April this year, Dave Fetter who was previously Consul General in Quebec assumed office as the mission’s chargé d’affaires. Of course, now we know that the White House has decided that another political ambassador is just what the U.S. Embassy Luxembourg needs, for stability or something. The good news is Mr. Mandell apparently comes from real estate background. 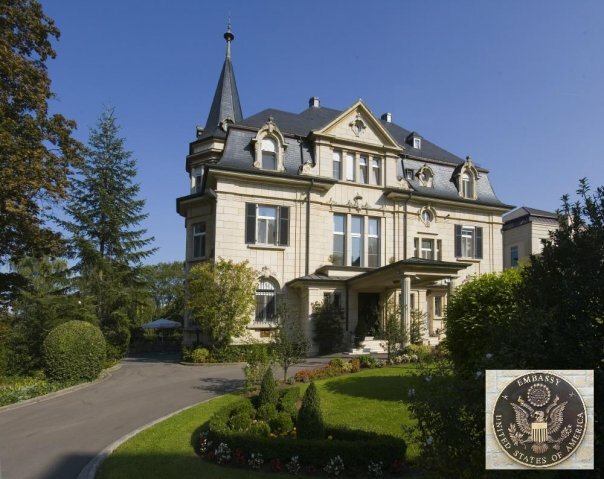 As I understand it, the ambassador’s residence in Luxembourg need some real work. It may have a gazillion square footage but it’s a big, old house and Uncle Sam does not always have the money for repair and restoration. So — maybe he can help restore the residence to its old glory during his tenure? That would be good, right? The bad news is, he may not get confirmed until fall which means his tenure could run for as short as 12-15 months to another four years depending on what happens in 2012. I just hope he’s not going to kick out his DCM before he gets to post (cross yourself and knock on wood!). Because that would not be a good start.